I’ve often been told I’m such a strong person by those that know about my past. Most of the time I only wish I were actually that strong. I dealt with more crap before I was even an adult than most people do their whole life. While there were many poor moments, growing up with a manic-depressive father that tried to strangle you during one of his manic episodes and a mother that couldn’t handle her life choices and basically gave up on life needing a lot of care and becoming bitter to everyone kind of puts a damper on your outlook of life, especially when it hasn’t even really started yet. It’s been just over 7 years since I removed myself from that situation for my own sanity, which has helped me improve my health, mentally, emotionally, and physically, so much. But, I also know that all of these things, and others, continue to impact my life. Sure, I’ve worked through a lot of those things but I’ve always felt that there are moments in life that likely impact and shape us far more than we ever even realize. For example, I know that I’m smart and creative enough to have my own successful business, which I do, but I often feel like I’m my own worst enemy and stand in my own way of being even more successful because of words from my past being whispered in my ear through memories. It leads to feeling lost in life and questioning who I really am. It honestly seems rather silly to feel that way at 30 but I know a lot of us do actually feel that at various points throughout our lives. After all, how many of us actually have the exact life we pictured for ourselves when we were putting together what we wanted out of life as we entered adulthood? One thing that has always helped me get through tough times when I feel stuck is getting motivation through seeing the powerful stories of success and change of others. Because of this, I’ve often thought about giving life coaching a try but I’ve never gone through with it as I’m not always overly comfortable detailing my life in that way with someone one on one. 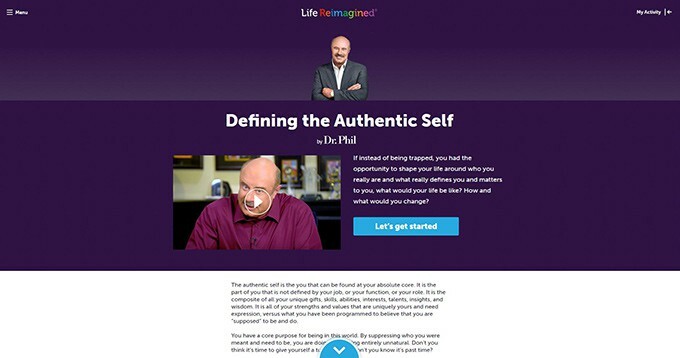 However, I recently found out about and was offered to give Become the Best Version of Yourself: A personal guided journey by Dr. Phil through Life Reimagined® a try. 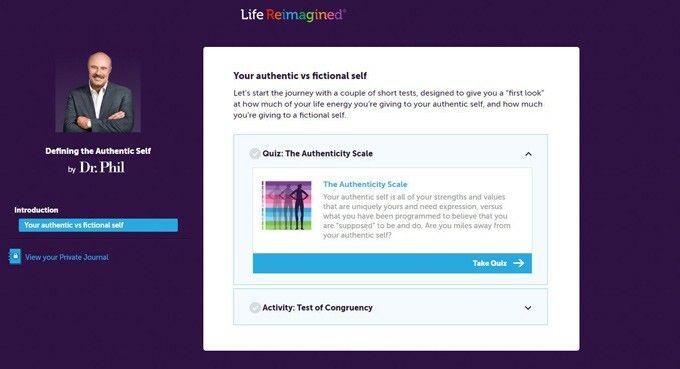 It’s a monthly subscription, including free activities, that allows you to work at your own pace through questionnaires, journals, and personalized videos that feel like they were made just for you to help you figure out who you really are versus the person you think you should be or feel you have to portray yourself to be. We all are so busy and often just go through the motions to get through the day to be able to pay the bills and have food on the table and a roof over our head that we sometimes forget who we really are. I have to say that this online course really does get you thinking. I like that it gets right to the point, even as you begin. To start with you go through what you think people see you as and then what you see yourself as to see if you really are living a life true to yourself. I know that while I am mostly true to myself, I do definitely conduct myself in a different manner while around certain people because I am afraid of how they will otherwise perceive me. Doing this exercise really got me to thinking about just how deeply that runs true. After you’ve done that portion, you can purchase the online monthly subscription for $19.95 (you can get a 14-day free trial here) and start to dig deeper into improving your true self. I really enjoy that each of the exercises includes a video by Dr. Phil to explain what each section is about in a way that really resounds with you no matter what you’ve been through and who you are to help you see how it all connects together. 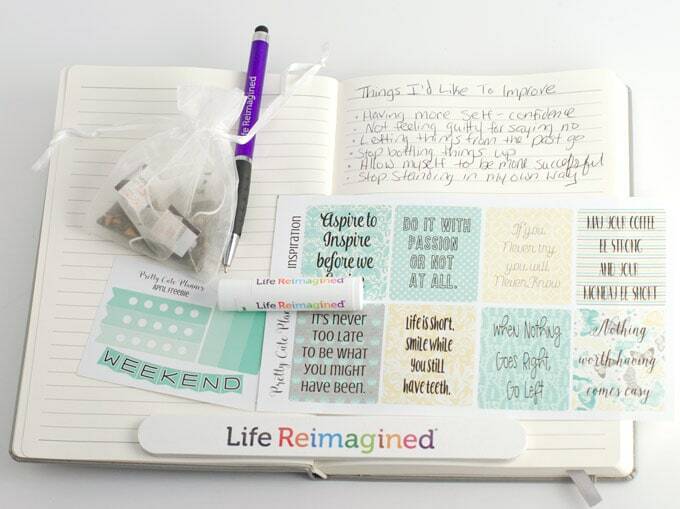 I found this next part really interesting because you start identifying key moments and people in your life and how they have made you who you are today. I will admit this can be very tough to work through, but it really did help me gain some clarity on the whys and how to better deal with and work through things. One nice thing is that you can spend as much or as little time as you have a few minutes here and there and your progress is automatically saved. I have totally found the service to be worth the price and I think I will definitely continue using it for at least a couple more months to see how work on myself progresses. It’s already come in very handy as we had an unexpected tragedy happen this past weekend where one of our cats who had been in prime health suddenly collapsed and became very sick after playing and eating just hours earlier. He, unfortunately, never really recovered and ended up dying which has left us devastated as our cats really are like our children. It was also so heartbreaking to have to watch him be in pain and suffer while the vet tried to save his life and also frustrating that we will never really know what made him sick. Normally I would have so many other things that I was constantly stressing about that adding this on top would have left me barely able to function and constantly mulling things over in my head that if only I had noticed X he could still be here with us today. 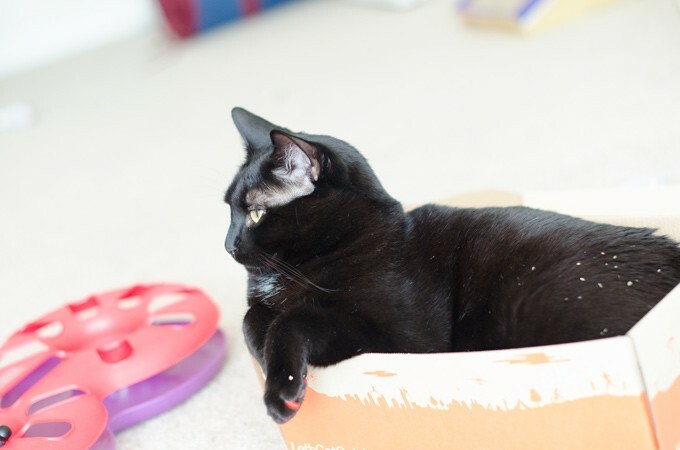 Instead, while still certainly grieving with several bouts of crying, I have been better equipped to work through the grief, realize that I don’t have to feel guilty, and instead celebrate that he was an awesome cat that we were lucky enough to be able to give a wonderful life to in his 7 years on this earth. I consider that a definite win. All in all, after using this online program I really do feel like life coaching actually can work, a lot actually. I really liked this method as I was able to work through it in the privacy and comfort in my own home, taking all the time I needed for one low monthly price. It is also nice to feel like I am really resolving things that have been issues keeping me from who I really want to be instead of just glossing over them. You really can’t beat that. If you’d like to try this online program to see how it works for you, you can start out with this 14-day free trial. You don’t even need to add any billing information. Here’s to a happier, healthy life that we all strive for.